Just a quick one tonight – I’ve made a card for LeAnne’s clean and simple challenge over the The Paper Players. 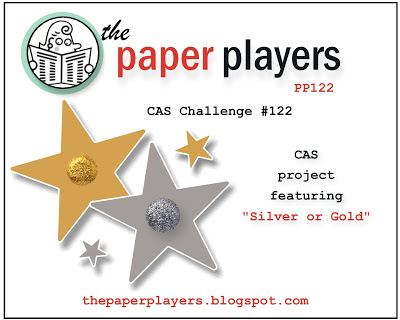 The challenge is to feature Silver or Gold on our projects. I do have to tell you my card had way more layers and ribbon, but I reduced the amount of clutter on my card before I stuck it together. This is my attempt and clean and simple. Very nice, you should be very,you should be very pleased . Oh wow! This is stunning! That flourish is perfect! I haven’t used it yet and you’ve inspired me to get it inky!!! Thanks for playing along again this week! Oh Narelle, your fussy cutting skills ROCK! 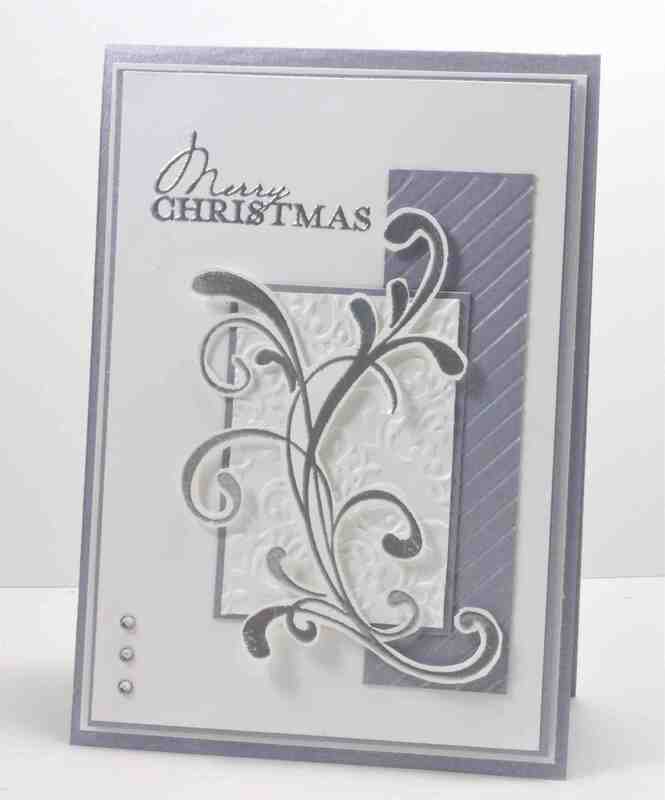 This is gorgeous…love the flourish in silver…STUNNING. Thank you for joining us at The Paper Players! Every day I look forward to seeing your work! Amazing and inspiring! Thank you! I know what you mean! I struggle with CAS. Less is not enough in most cases…ha!!! It’s hard to not add all the pretties. This is incredible…I can’t believe you cut this swirl out! Amazing details, perfectly beautiful!! Thanks SO much for playing with my Paper Players challenge this week! This is a perfect CAS card – love the scored panel! I can’t believe you cut that flourish out by hand… wow!!! Thanks for playing along with the Paper Players this week!